Red-hot Warner Music Nashville up-and-comer Morgan Evans is giving fans a glimpse into paradise with a brand new music video for ‘Day Drunk’. The clip is available today and premiered exclusively on ETonline.com. 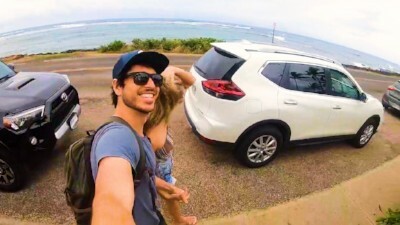 Featuring the singer-songwriter, the self-shot music video follows Evans on a Hawaiian adventure. Surfing and soaking up the sun, Evans cruises the scenic island to the tune of the upbeat summer jam with his wife, Kelsea Ballerini. Upon release, ‘Day Drunk’ received a huge response across streaming platforms, being added straight onto Spotify’s New Music Friday Canada, Australia and New Zealand as well as the New Pop Sounds and All About Country playlists. It’s also reached #1 on the Australian iTunes Country Chart and went Top 10 on the iTunes Country Charts in eight further territories. It follows the debut single ‘Kiss Somebody’ which is currently Top 10-and-climbing at Country radio and skyrocketed into Spotify’s Global Viral 50 chart. With 41million+ on-demand streams, the smash hit is the first look at his forthcoming Warner Music Nashville / Warner Bros. Records full-length debut album. A bona fide Country force in Australia, Evans is forging a path as one of the genre’s hottest up-and-coming stars having garnered countless awards and honors, most recently claiming Country Work of the Year for ‘Kiss Somebody’ at the 2018 APRA Music Awards, and receiving praise from the likes of Rolling Stone who declared him “a savvy performer with strong songwriting chops”. He has also been named one to watch for 2018 by CMT, SiriusXM, Billboard, Amazon Music, Google Play, Sounds Like Nashville, Pandora and more. After sharing the bill with global superstar Taylor Swift, Country hit-maker Cole Swindell, James Blunt and more A-list names as well as returning to the UK for a third time to play at this year’s C2C festival in both London and Glasgow, Evans will headline select dates throughout the summer and will featured as a special guest on Chris Young’s Losing Sleep World Tour this September. His highly anticipated debut album is in production, with additional details to be revealed soon.